Supply chain oversees the product journey, from raw material to supply of the finished product to the point of sale. 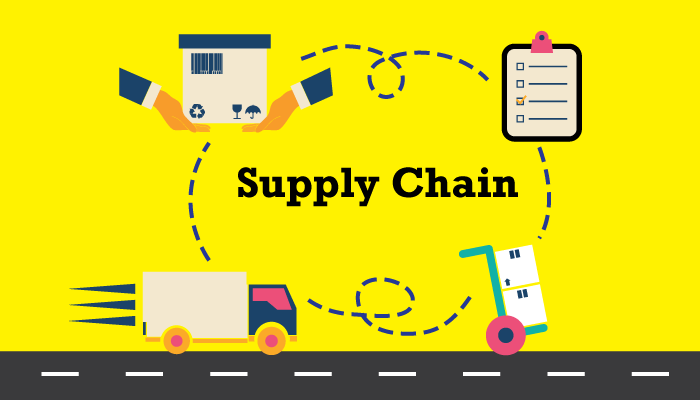 It is essential to have a supply chain with a high level of service, quality and efficiency in order to meet the needs of the consumers while actively enhancing the company’s profitability. Due to the high volume and speed of production in this sector, graduates in this field will be able to experience working in a demanding and fast-paced commercial environment. However, it will also give graduates the opportunity to flex their intellectual muscles by researching and implementing methods that can reduce environmental impact throughout the product journey as the industry works toward meeting corporate responsibility and sustainability goals. Major FMCG companies offer graduate schemes designed to introduce graduates to different aspects of the supply chain. The graduate programme typically lasts for a year or two and involves rotations across different areas of the supply chain, such as procurement, demand planning and logistics. Graduate roles may range from purchasing raw materials to customer service and distribution. As a graduate with a role in purchasing, you may be expected to analyse markets, assess suppliers, and prepare and carry out negotiations with them. You are also required to manage data about your transactions to be used in project management and price forecasting, especially if you are working on supply management or strategic purchasing. If you are placed in customer service and distribution, your responsibility will include warehousing, overseeing transport arrangements, managing shelf availability as well as ensuring the timely delivery of products. On the other hand, if you end up being placed in supply chain planning, you will be required to liaise with the different functions in the business to lock down potential sales for a product and later plan for factories to meet those sales on time. Skills picked up in this industry are largely transferrable among businesses in different industries, as the demanding environment of the consumer goods sector sets its employees up to progress well in other equally fast-paced industries. Supply chain roles require a logical mind and the ability to solve problems. The need to work with various departments will require good communication skills and the ability to be a team player. Working with demanding vendors and clients can also be stressful, hence patience and solid negotiation skills are important for graduates who are interested in this field. Employers in this field also have a preference for candidates with a background in logistics, engineering, IT, operations management, finance, business administration and supply chain-related qualifications and degrees. However, candidates who do not possess such qualifications are still welcomed, but they will need to demonstrate sound commercial awareness, and strong analytical and problem-solving abilities. Work pressure is something that most employees struggle with, given that customer’s satisfaction is of top priority. However, the stable and constant demand for workers in the consumer goods sector provides a range of opportunities to graduates interested in this field. A guideline for you to ease your transition into the working world.